Anna Purnell, an artist and teacher, can no longer coast in life after a new plant of possible alien origin is discovered. The personalities of children and adults change, no longer human. With its mirrored petals, the stunning infinity bloom is everywhere. Even the government is controlled by the changed. When Anna meets Jake Kinley, a scientist studying the infinity plant, she discovers the elite social set of the Department. She soon learns the Department researches for the government. Anna is drawn to Jake, but can he be trusted? Anna must protect her young niece from the dangerous new world. Time is running out for Anna to find the resistance, people struggling to save humanity. 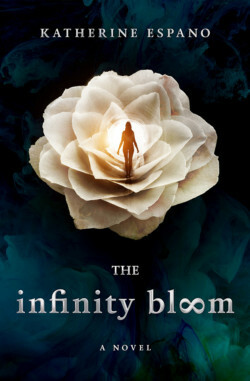 As Anna unravels the secrets of the infinity bloom, she faces questions: What does the Department want with her? And is anywhere safe?